WESTERN Pride have secured former Brisbane Roar defender Cameron Crestani in time for Saturday night's showdown with his former club. 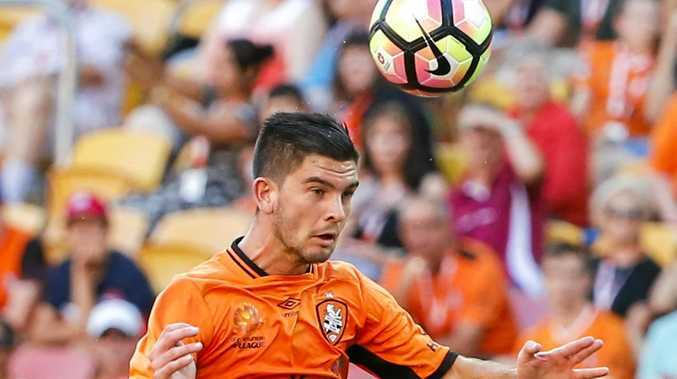 Crestani joins Pride having made six appearances for Roar in the A-League and Asian Champions League since his senior debut against Perth Glory in February. The highly-rated centre back also captained Roar's Youth side before being released at the end of the season. Crestani was delighted Pride had given him a quick return to the field. "I've just come off a couple of week's break so game time is a massive thing for me," Crestani said. "I hope to succeed here and then get trials at A-League clubs when they come back for pre-season." Crestani is no stranger to the Pride squad having played alongside Dylan Wenzel-Halls, Harrison Sawyer, Joe Duckworth and Hayden Mchenery at Brisbane Roar Youth last season. The 21-year old previously lined up with Gabriel Hawash, Jesse Rigby and Karamo Kamara at the Queensland Academy of Sport. Crestani was pleased so many of his newly reacquainted teammates were still chasing their dreams of playing professional football. "I know 70 to 80 percent of the players at Pride and they are a good bunch of guys," Crestani said. "It is good to join players who have the same aspirations as me." Crestani said knowing so many players was a help. "Pride has an amazing program and they promote youth players ridiculously," Crestani said. "I know how professional Pride are, thanks to the people they have at the club, so I have the chance to further my development as a player and hopefully continue to a higher level. "Pride also has amazing supporters and they have massive potential to be promoted to the A-League so it was an easy decision to come here." A quirk of fate will see Crestani debut against his former team when Brisbane Roar Youth visit the Briggs Road Sporting Complex on Saturday night. Crestani was looking forward to the match but his release from Roar would not have a bearing on his performance. "I hold no grudge against Roar as I was there five and a half years," Crestani said. "This is a professional environment and I have a job to do which is to stop them scoring goals." Pride coach Graham Harvey is delighted to attract a second A-League player following the capture of Cameron Crestani from Brisbane Roar. Harvey said Crestani would benefit the club on and off the field. "Cameron will improve us defensively and his quality distribution from the back will enable us to continue improving our build-up play," Harvey said. "He has been in a professional environment for five years so this experience will be imperative when he works with the other players in the squad." Crestani is the second player with A-League experience to join the club in recent weeks following the return of former Pride striker Harrison Sawyer following a stint with Newcastle Jets. Harvey said the capture of two such highly-rated youngsters was proof of Pride's rising reputation for youth development. "The fact both players saw Pride as the best fit to give them the chance to become professional footballers again speaks volumes for the environment we are fostering," Harvey said. "The pleasing thing for me is both boys are desperate for game time and they recognise that the pathway at Pride will do that. "We trust young players and allow them to make mistakes and learn in the first team environment." Harvey said player word-of-mouth about the quality of Pride's development program helped bring Crestani to the club. He expected that word would spread further. 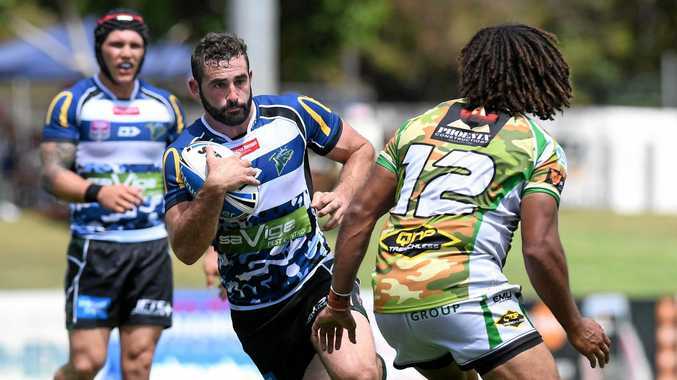 "I hope there are more young players in Queensland and Australia-wide who recognise the work that has gone into our program over the last two and half years," Harvey said. "Players see Pride as place to develop their footballing careers." Saturday (7pm) - NPL: Western Pride v Brisbane Roar Youth. CL2 (4.30pm) - Ipswich City Bulls v Brisbane Phoenix. Reserves match at 2.30pm. All three games at the Briggs Road Sporting Complex.